Pro-face is one of the world’s leading brands for innovative interface products. 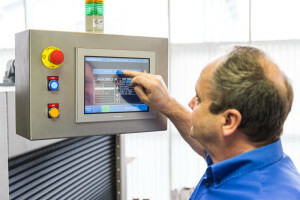 Quin supplies Pro-face terminals in the UK, all of which can be integrated with our own machines to provide the perfect solution for your needs. Contact us to find out more about how Pro-face terminals can transform your production process, or visit the Pro-face website.